Hi, my name is Linda Kennedy. 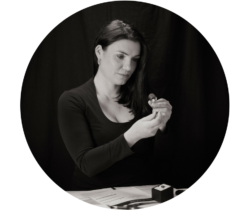 I’m the Gemologist for TanzaniteDirect. The articles on this site represent the expertise and experience I’ve gained from grading thousands of tanzanites and working for the world’s largest tanzanite mining company. I hope my condensed knowledge will help you learn more about tanzanite, avoid the most common pitfalls, and get the most value possible on your purchase. The gem occurs only in only one place on Earth, and its supply is likely to run out by the end of the current generation. Tanzanite’s mesmerising blue, surrounded by a fine hint of violet, is unique in the world of gemstones. The idea of owning something that few others possess has always been at the forefront of what makes gems special – and given its uniqueness and rarity, tanzanite is a true luxury. Tanzanite is found in only one place on earth, near Kilimanjaro, Tanzania. The entire tanzanite mining area is a tiny seven square kilometers in size. Tanzanite is the birthstone for December, and is also the gem for a 24th anniversary. Tanzanite’s color is unique, as it shows two colors at once. Each tanzanite is always a unique mix of blue and violet. 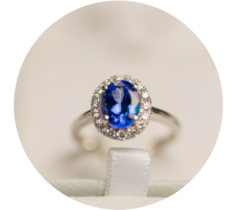 Learn how to judge and choose the perfect tanzanite gemstone. 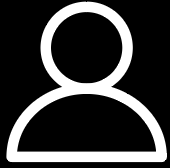 Avoid the most common pitfalls and get the most value possible on your purchase. Does Tanzanite come in any other colors, like green and blue? How durable is Tanzanite? Is it soft? What is “D block” Tanzanite and is it better than tanzanite mined in other blocks? Is unheated tanzanite more valuable? Is AAA+ tanzanite the best quality? Is laser engraving a sign of quality? What’s the best Tanzanite Grading System? What does “vB 6/6” Tanzanite mean? Tanzanite is only found in one place on Earth: a tiny area called Merelani located in a far-flung corner of Tanzania, near Mount Kilimanjaro, the highest mountain in Africa. The entire area is only 7 kilometers long. 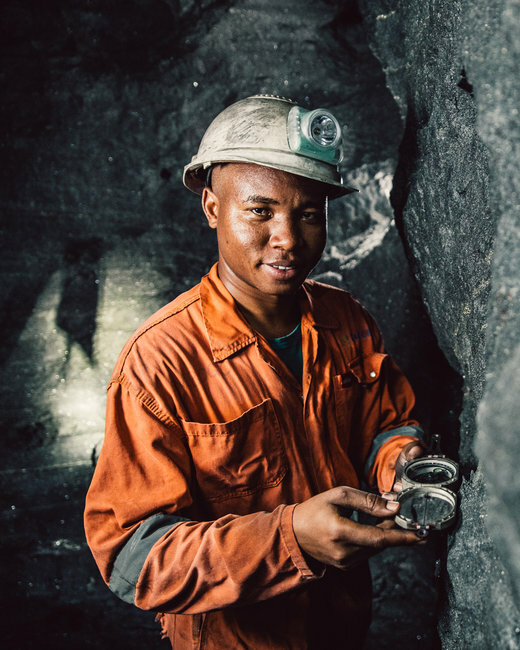 It is mined by hundreds of small-scale miners who mainly use basic equipment, and several more modern, medium-sized companies. Whilst is obvious that the tanzanite supply is diminishing daily, no-one is sure exactly how long the deposit will last. In 2013, independent geologists assessed the largest tanzanite mine, Tanzanite One, as having only 30 years left. The smaller mines in the area remain unmeasured. Aerial view of the world’s only tanzanite deposit. The whole area is only 7 km x 1 km. In 1990, the Tanzanian Government split up the area into four blocks, named A through D.
Tanzanite is only found on one place on the globe. Experts believe that the geological conditions required for tanzanite formation are so unfathomably random that the chances of another tanzanite deposit occurring anywhere else on Earth are extremely unlikely. Tanzanite’s single source and limited supply make it at least 1000 times rarer than diamond. 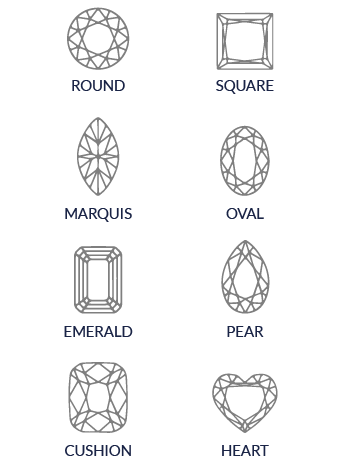 Every gemstone you see on our website can be traced right back to the mine where it was found. Come and visit the tanzanite mine in Merelani, Tanzania, where all our tanzanite comes from. 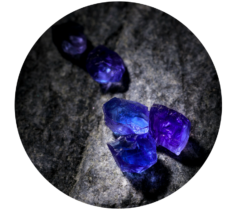 This series of in-depth articles will help you get a greater understanding of tanzanite’s value and quality, as well as introduce you to some of the most frequently used technical terms. As there is a lot of conflicting information about tanzanite on the internet, we hope that these resources will help you make an informed choice and smart purchase. How are jumbo sized tanzanites graded?